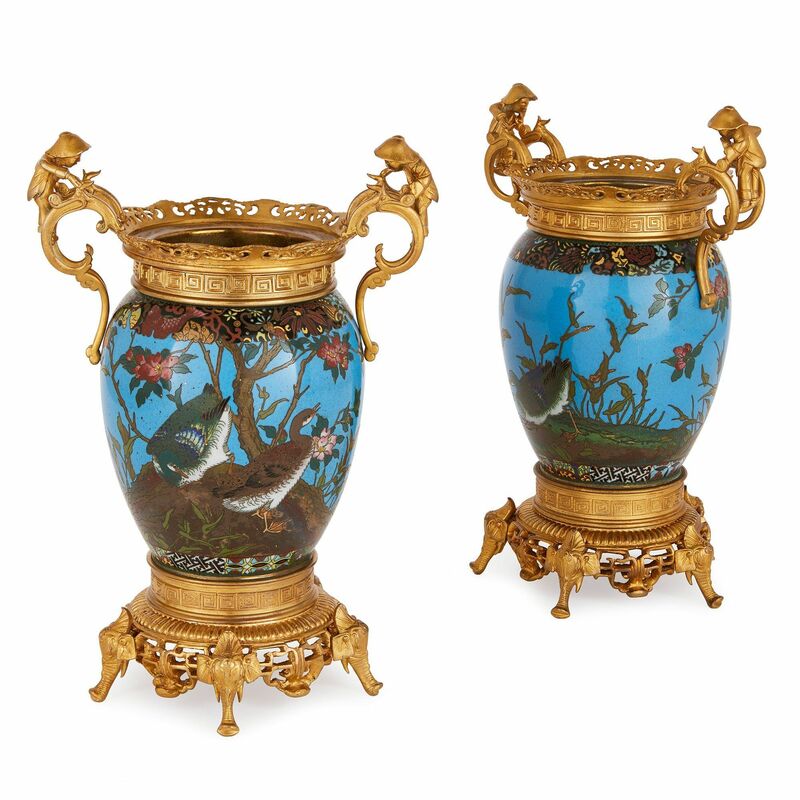 These vases reflect a fascination with Japan in 19th Century Europe. 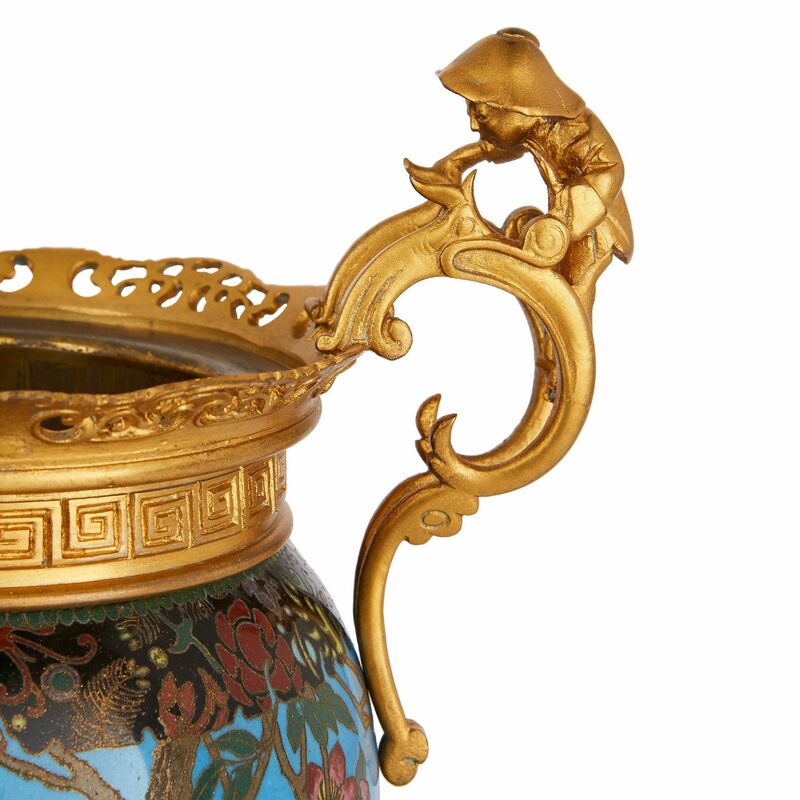 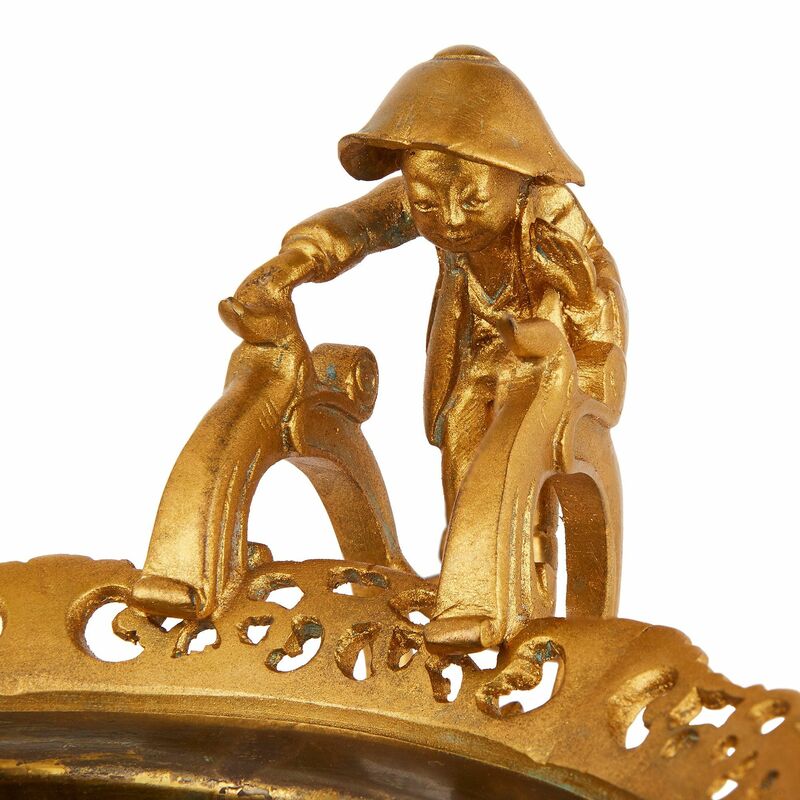 They were made in Japan, with French ormolu mounts added to suit European tastes. 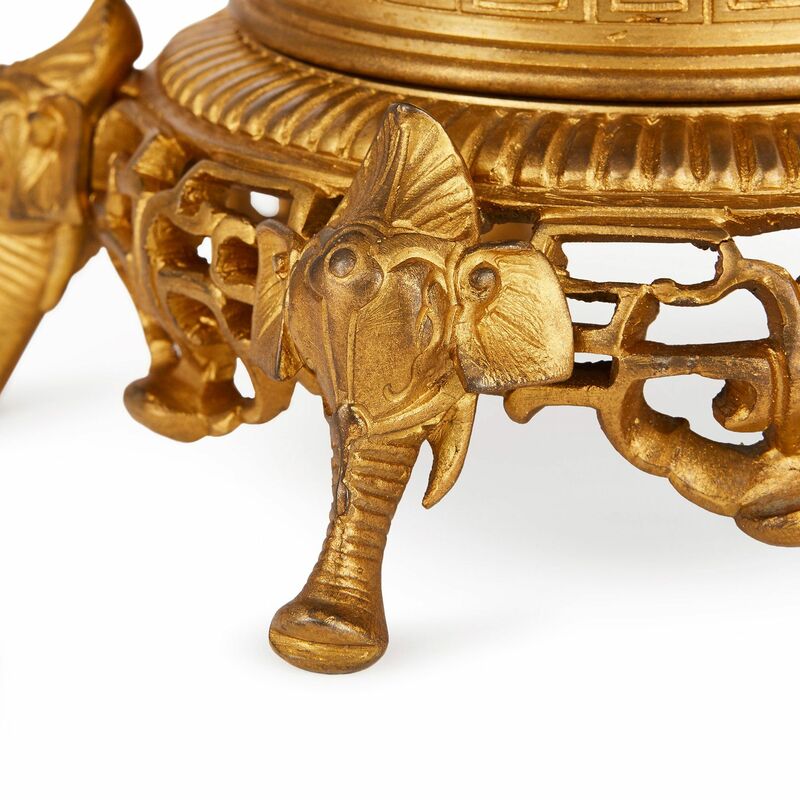 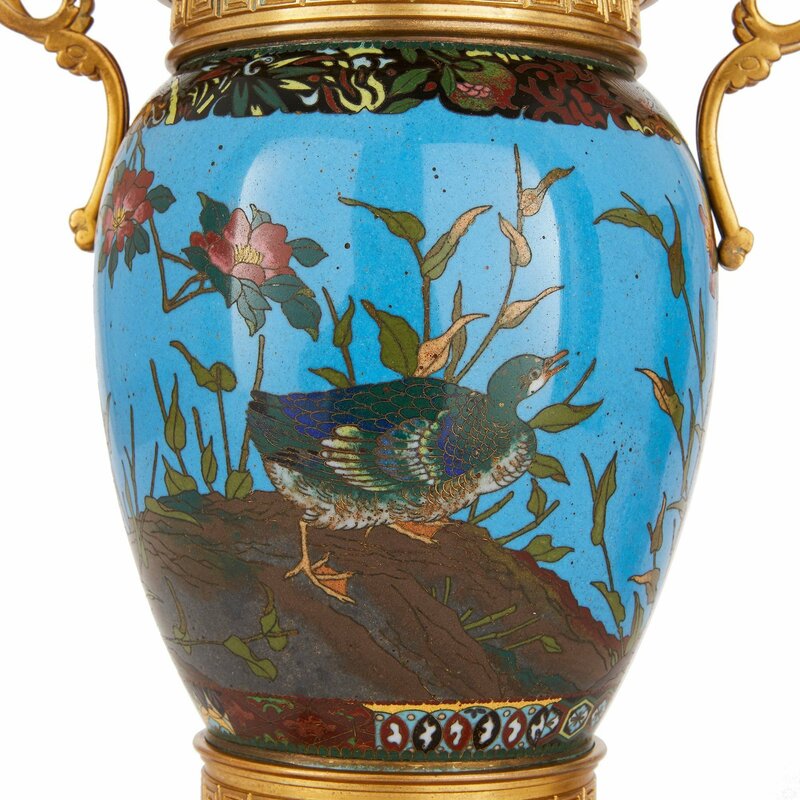 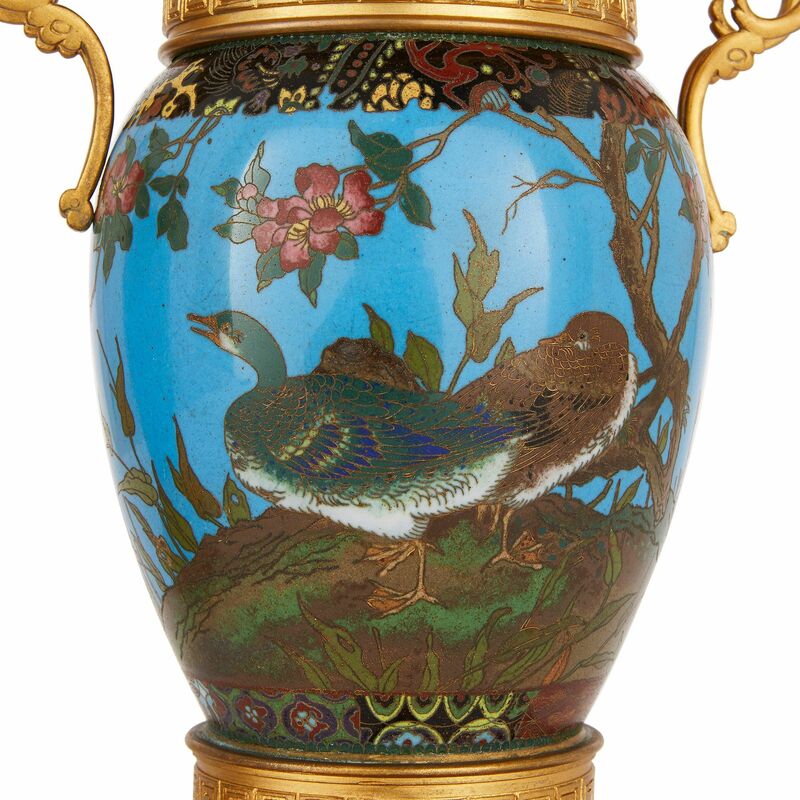 Of ovoid form with a pierced ormolu rim and scrolling handles modelled with oriental figures, decorated throughout with birds, flowers and foliage, raised on elephant feet.